The Pure is a modern classic in the putt and approach department. The disc was co-designed with Jesper Lundmark. It features a comfortable grip and a medium deep rim. It is developed with minimum fade for the ultimate putting experience. Left, straight or right; it will hold any line on your approach shots. Elevate your game around the basket with the Pure. Great disc. 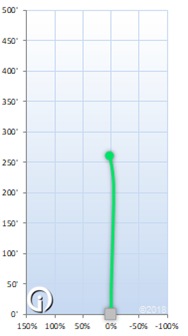 Slightly overstable on upshots at 5000 feet elevation. Beats into neutral to understable after a few rounds of useage. I love this as my normal usage putter and for driving with no wind or with tailwind downhill. I can trust this disc to go straight up to 250 feet with little effort. Sweet disc.